HERSHEY, Pa. — Pennsylvania Farm Bureau hosted their 67th annual meeting at the Hershey Lodge in Hersey, from Nov.13-15. Butler County resident Nikole Stuchal was selected the recipient of the Distinguished Local Affairs Leader. 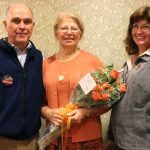 The award recognizes an individual, whose local affairs efforts and activities have helped solve problems and improve rural living for county Farm Bureau members. 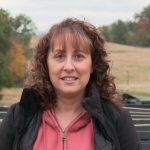 Stuchal and her husband Cory farm about 2,000 acres of corn, soybeans and other grains in Butler, Mercer and Venango counties and also operate a custom field drainage service in Slippery Rock. Nikole was recognized with this award for her leadership and hard work in promoting a new grain bin rescue program in Butler County. Stuchal was Butler County Farm Bureau’s lead representative in working with volunteer fire companies and emergency medical services personal to educate them about grain bin safety. Stuchal worked with farmers and others in the community to organize several educational sessions and on-farm training demonstrations in Butler County. 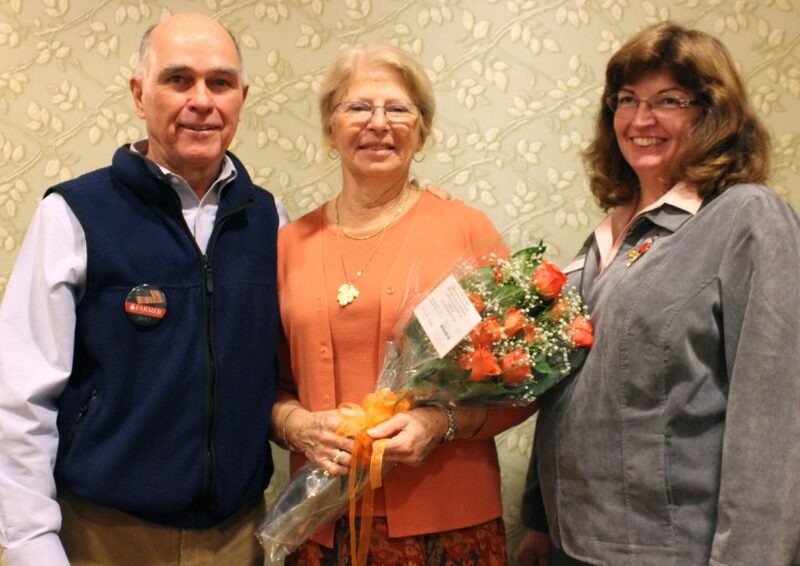 Pennsylvania Farm Bureau’s Women’s Leadership Committee selected Nancy Midla of Washington County as the recipient of the Outstanding Woman in Agriculture Award. 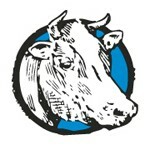 Midla manages a 500-acre purebred Hereford beef operation near Marianna, with her husband. Midla oversees the artificial insemination program, calving 60-80 head annually, and takes care of all breed documentation and processing of financials on the farm. The family also grows corn, silage and hay to feed their animals and sell extra hay on the open market. Midla began farming in 1973 and was a driving force in bringing the Ag in the Classroom movement to Western Pennsylvania. 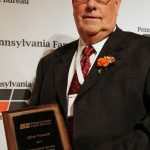 During the annual meeting Pennsylvania Farm Bureau emphasized that international trade plays a major role in having a strong agriculture economy and that is why farmers are alarmed that President Donald Trump continues to threaten a U.S. withdrawal from the North America Free Trade Agreement. Under NAFTA, agricultural exports from the U.S. to Canada and Mexico increased by more than $29 billion, from $8.9 billion in 1993 to $38 billion in 2015. “Complete withdrawal from NAFTA is not a desirable option for American agriculture or Pennsylvania farmers, especially when you consider that 37 percent of all Pennsylvania agriculture products exported to foreign countries goes to Canada and Mexico,” said PFB President Rick Ebert, during a news conference at PFB’s annual meeting in Hershey. Farm Bureau is urging trade negotiators to work through their differences to reach an agreement that benefits all three nations. “We’re encouraging President Trump and his trade negotiators to continue working toward an agreement that protects NAFTA’s strong agricultural component, while creating new opportunities for businesses across the nation,” added Ebert. Meanwhile, PFB is encouraged that the issue of federal tax reform is being seriously considered in Washington D.C., following the approval of legislation by the House Ways and Means Committee. The Tax Cuts and Jobs Act (H.R. 1) includes a significant number of changes to the federal tax code. 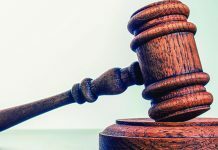 “Although the tax reform plan shows promise and touches on some key areas relevant to farmers who file taxes as individuals or businesses, some details of the plan need to be further refined in order to provide long-term relief,” said Ebert. The full House of Representatives is expected to consider the tax reform bill later this week. PFB also recognizes that many farm families across the Commonwealth are facing challenges, including the dairy industry, which is the largest segment of Pennsylvania’s agriculture industry, contributing more than 35 percent of all agricultural income and generating more than $5 billion in revenue to the state’s economy. 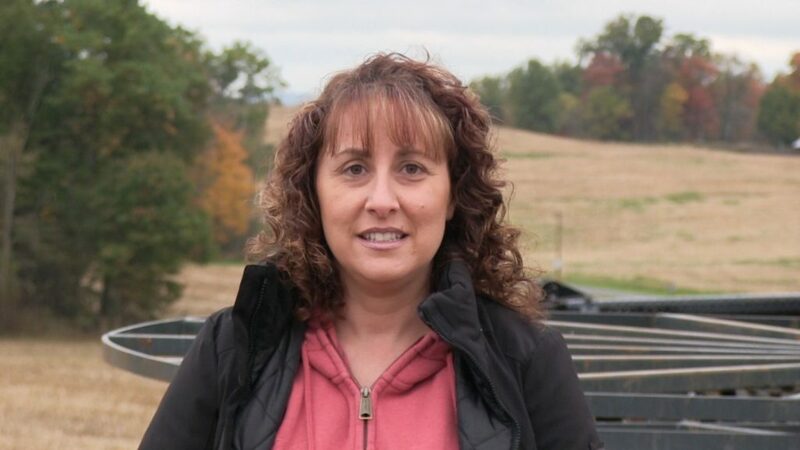 “An oversupply of milk in the Northeast and across the nation, which has resulted in lower milk checks, has placed a significant economic strain on dairy farmers in Pennsylvania,” continued Ebert. 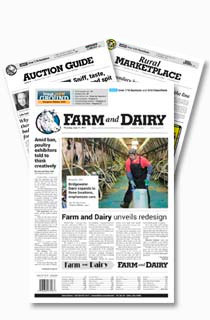 Farm Bureau has been working with a variety of stakeholders in the dairy industry to identify and create new opportunities and tools to assist dairy farmers. At the state capital, Farm Bureau is continuing to engage with members of the state General Assembly to garner support for legislation that would guarantee farmers and other landowners a minimum royalty of 12.5 percent for gas extracted from their land, regardless of the cost associated with getting the gas to market. The Barnraiser Award, which is PFB’s highest honor, recognizes individuals who have spent a lifetime in dedicated leadership to the agricultural community. 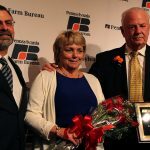 Sallie, from Cumberland County, spent 25 years as PFB’s administrative secretary and more than 40 years working for Farm Bureau. 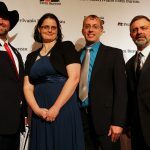 Prior to working for PFB, he was an area director for the Northeast with the American Farm Bureau Federation and the director of member relations for the New York Farm Bureau. 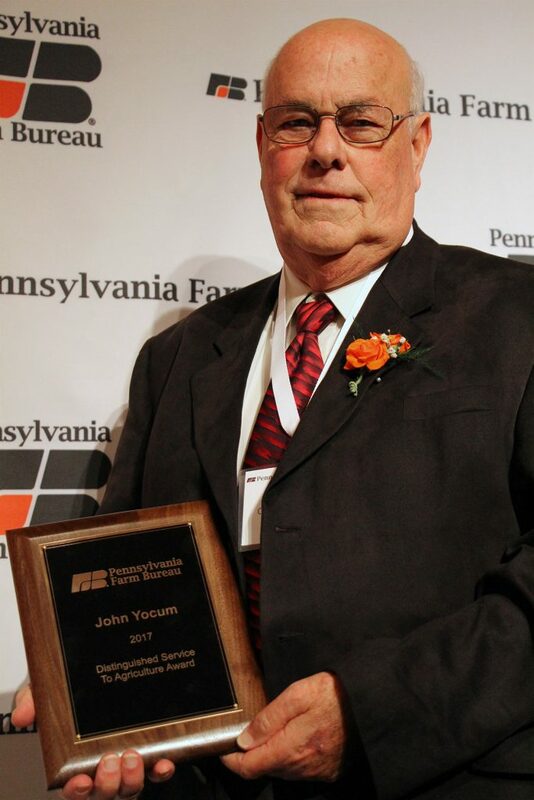 John Yocum, who spent more than four decades as the scientist-in-charge of a Penn State University research farm in Lancaster County, was honored with the 2017 Distinguished Service to Agriculture Award. Corey and Heather Grove of York County as winners of the 2017 Young Farmer and Rancher Excellence in Agriculture Award. The Groves, who both grew up on family farms, were chosen based on their overall involvement and leadership in agriculture and Farm Bureau, even though they do not derive the majority of their income from an agriculture operation. Corey currently works full-time as an environmental consultant assisting farmers with their nutrient management plans and conservation planning, while Heather works as an administrative assistant for the York County Fire School, which trains emergency responders. Corey and Heather both work part-time on their parents’ farms. The couple also grows vegetables and raise chickens and steer on their two-acre farmette near Stewartstown. 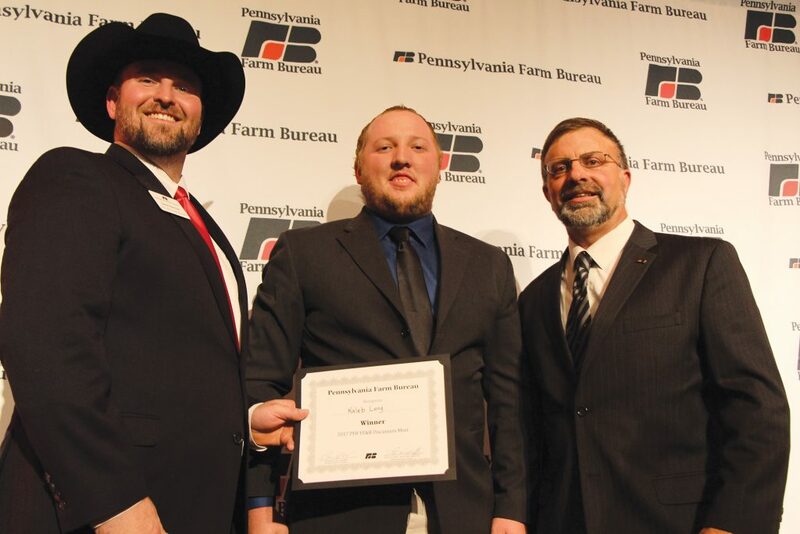 Kaleb Long of Lancaster County was named the 2017 Young Farmer and Rancher Discussion Meet. Long has a small swine breeding operation and custom butchers some of the animals he raises. Long did not grow up on a farm and works full-time for Crop Production Services. 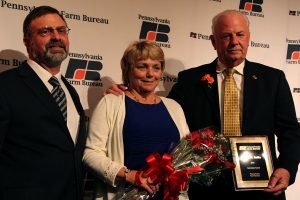 Juniata County farmer Chris Hoffman has been re-elected as vice president of the Pennsylvania Farm Bureau by the delegates. Hoffman raises hogs and chickens on his farm near McAlisterville. 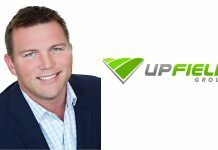 Hoffman has been heavily involved with Farm Bureau for more than a decade, serving on the state board of directors for eight years and as a member of the board’s executive committee. 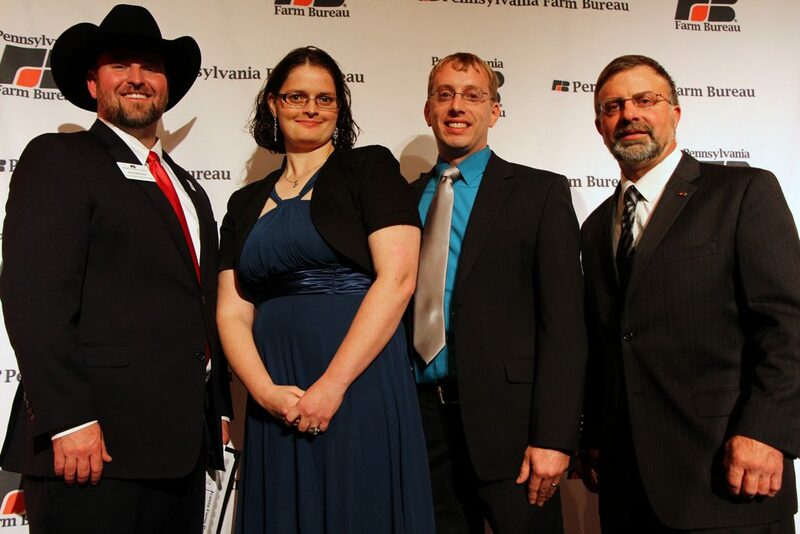 The Susquehanna County Farm Bureau won four awards, including Farm Bureau Premier County Award. The award is the highest honor bestowed upon a county Farm Bureau among Pennsylvania’s 54 county Farm Bureaus. Total awards for up to 400 members: Susquehanna County, four; Juniata County, two; Cambria County, one; Crawford County, one; Mercer County, one; and Snyder County, one. Total wards for 401 members or more: Wayne/Pike County, three; Chester/Delaware County, 3; Bedford County, two; and Butler County, two. 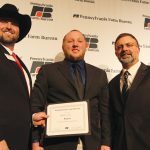 Young Farmer and Rancher Discussion Meet winner Kaleb Long, center, of Lancaster County, is congratulated by state YF&R chair David Bentrem (left) and President Rick Ebert (right) during PFB's 67th annual meeting.